Too many great sessions to attend? Two interesting sessions going on at the same time? Want to revisit a course you attended? Virtual ACEP is the perfect complement to your ACEP18 experience! 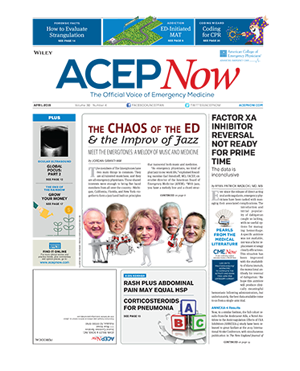 Through our virtual platform, you will have 24-7 access to all the ACEP18 presentations. Virtual ACEP18 includes access to the slides and audio from all the courses presented during the conference—our new integrated classroom brings everything together in a single, unified view. Contextual Notes: Notes tied to the replay of the session, slide by slide. Playback Speeds Controls: Slow down or speed up your experience. Comments: Discuss specific slides with your peers right from the online player. Favorite Lists: Create a playback list of your favorite sessions to watch now or later. Online access begins 24 hours after the conference ends and CME credits are available. Special discount pricing is available only during the conference—visit the Virtual ACEP Booth in the Ballroom 20 Ticket Booth at SDCC, or the ACEP18 Registration Area.